I needed to remedy my constant need to clean the shop especially when it came to the dust. It needed to reach all my major tools that I have now and ones that I plan on purchasing in the future. As I usually do for any project I take the following steps before I decide on what to make and how to make it. 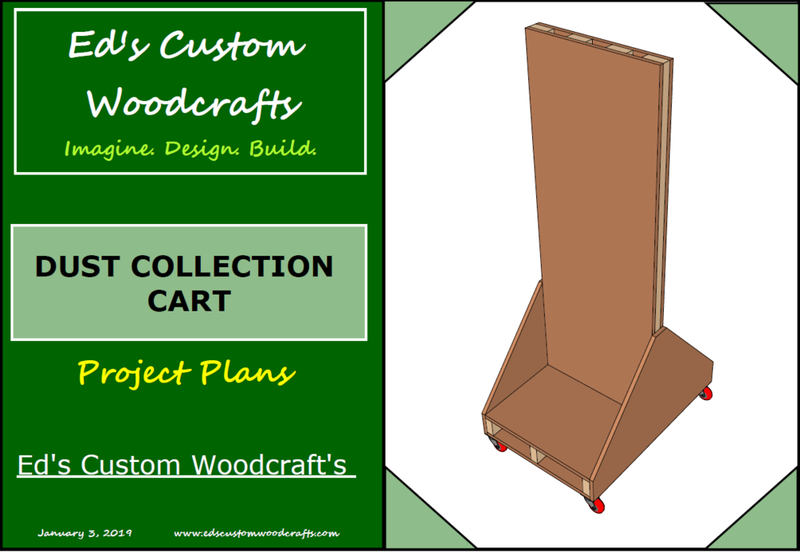 While scouring the internet I came across this concept from a YouTube channel simply named Evan&Katelyn where they build this awesome cart out of construction lumber and plywood and it solves most of my problems. Its basically a wall mounted on a mobile base where they hang all there dust collection equipment, everything from the same system that I will be using and a tone more such a a hanging shop vac, all accessories for the Dust Right System all neatly organised on a double sides wall. As I usually do I went to Sketchup my 3D design software and drew up a set of plans and cut-lists and so forth, I will be making these plans available in the near future. Although the video was a tremendous help they never told me what the dimensions were and anyway I needed to modify this cart so it would function in my work-space. NEXT : PHASE 4 THE BUILD………………..